I don't see ghosts. 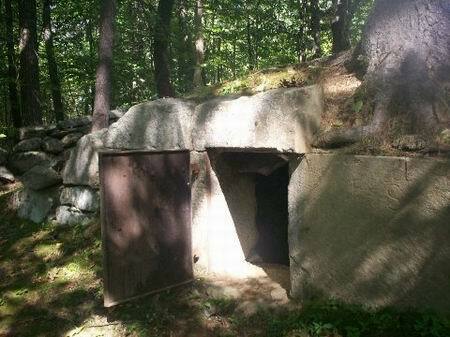 It looks like the crypt from the Barre Cemetery Cold Brook Rd where the mother and children are buried. She killed her children and people leave toys there for them. They still do, sad story. That's one I've been to at night with friends; it's scary. It has the same crypt. N Stone wall looks like it. Off 122 in Barre. But I can't see any ghost. Can you tell me. Thanks and if you get the chance look up the old cemetery in Barre.